Ju-ne’ Thomas performs Bob Marley’s Redemption Song. It’s also the headquarters of The Next Chapter Open Mic night, an initiative of the Tobago Writers Guild. Conceived of by guild president Rodney Piggott, himself a published writer and veteran of the scene, the soon to be twice monthly spoken word event has established itself as a significant launchpad for the growing the literary arts scene in Tobago. 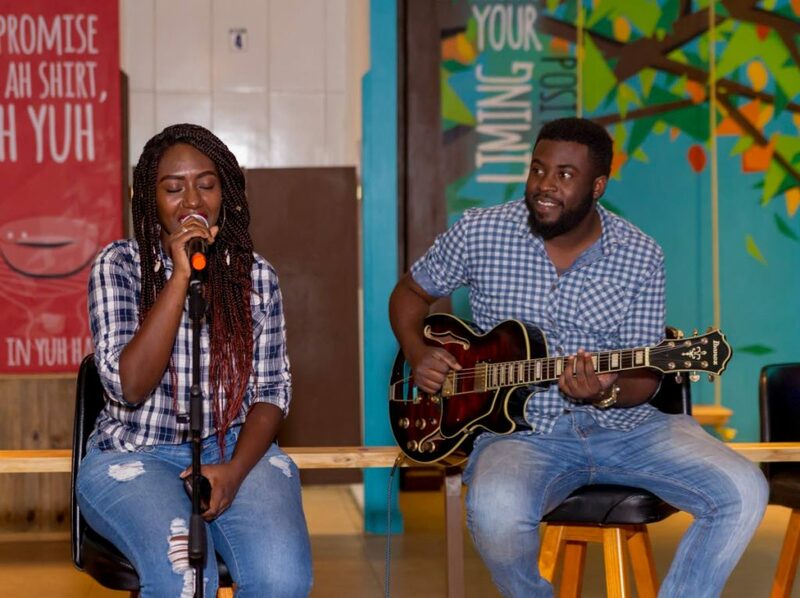 The popular event - now settled at Apex after residencies at different venues since its birth in 2017 - unveils the range of emerging and established literary and musical talent in Tobago. As well as recording artist and host/MC Xavier Edwards, established performers Kashief Wilson and Kleon McPherson have already appeared, as has New York City’s current Youth Poet Laureate, Tobago’s Camryn Bruno. The come- and-share-your-artistic-work session is the premier open mic for performers and artists - writers, poets, musicians and comedians - to showcase their talent from a welcoming and supportive platform. Khadija Thomas (K Noir) performs her composition, Possibility, accompanied by guitarist Kashiff Wilson. 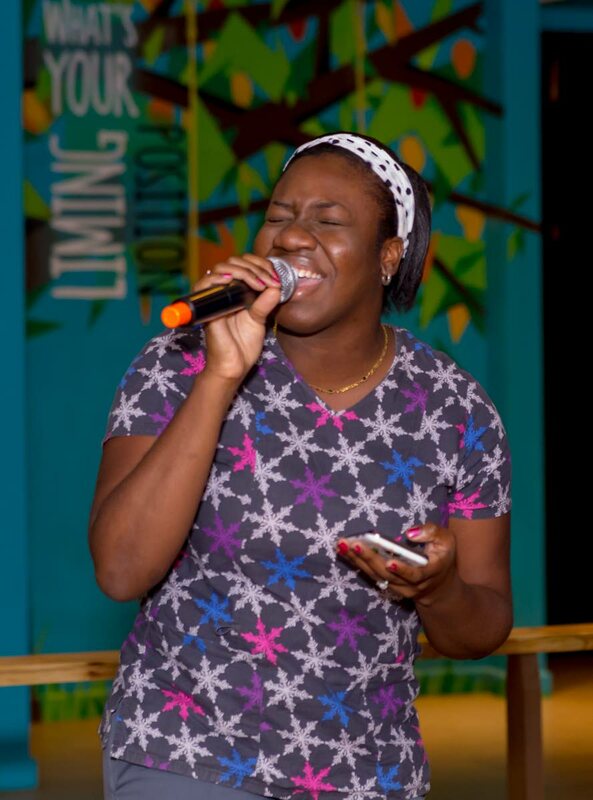 Several Tobagonian spoken word writers competed in front of judges for January’s event - which launched The Next Chapter’s third season - doubling up as auditions for the First Citizens National Poetry Slam - the competition won by Bruno in 2017. With dynamic Edwards aka X-Avier guiding proceedings, Open Mic, Open Minds is the call and response maxim proclaimed by the MC/audience throughout the evening. And the open minds of presenters and listeners alike is demonstrated in abundance with the popular and interactive Alphabet Soup feature. Patrons are asked to pen an ode, poem, reflection or observation using the letter written on the slip of paper given to them as they arrive - with host X-Avier reading random picks throughout the night. This is a forum where members of the audience listen intently to presenters - seasoned and debutants - reciting their eclectic offerings on a range of subjects. Humorous, poignant, profound and thoughtful – intimate thoughts and emotions and reflections on the human condition and on life are offered through spoken word; there are usually vocals performances as well. Pianist Khaydon Chapman serenades a patron at The Next Chapter Open Mic. Demonstrating the growing popularity of this scene, last Sunday’s edition was headlined by feature artist Khadija O’Connor, performing as K Noir, whose powerful vocals were accompanied by guitarist Kashiff Wilson. 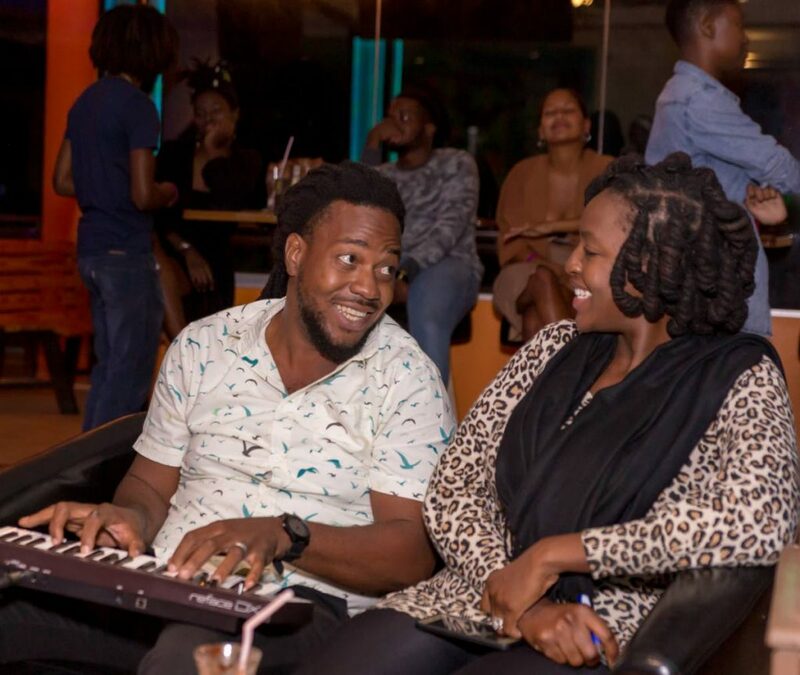 The audience also heard 15 open mic performers and well-known artistes’ Khaydon “Pianoman” Chapman and songbird Ju-né Thomas. Edwards shared his excitement at working with K Noir who he had collaborated with on his CD collection, The Live Free Project. Reflecting on Sunday’s performances, the Roxborough native described a lively crowd including many of his creative peers – singers, musicians, dancers, writers – and expected the reach of The Next Chapter to extend to the other parts of the island attracting even more Tobagonian talent to the Open Mic. 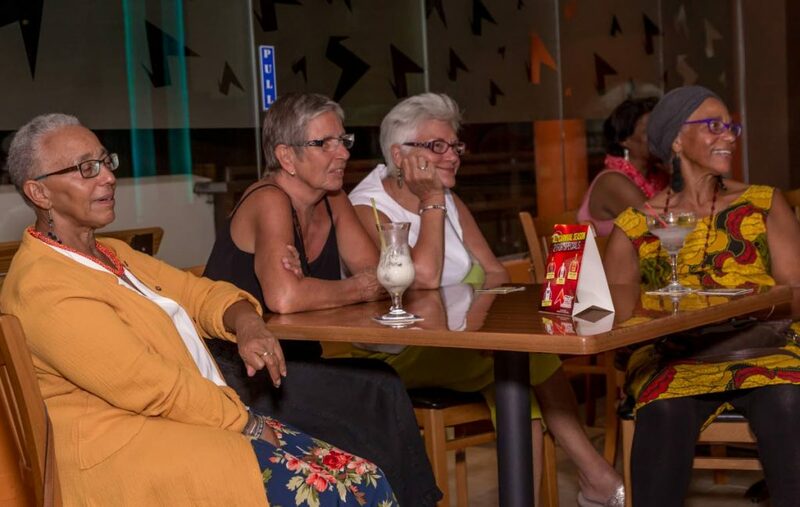 Patrons enjoy the show at The Next Chapter Open Mic night at the Apex Bar and Grill. Attorney, TV personality and author Deborah Moore-Miggins will be the feature artist at Next Chapter on March 3 at Apex Bar and Grill, Genie Plaza, corner of Kilgwyn Bay Road and Store Bay Local Road, Canaan. Reply to "The Next Chapter – premier open mic for performers, artistes"